Another happy customer email: My Table Tonic Juju Hat! "Hi Louise! Just a quick email to say a HUGE thank you for the Juju! See below for a quick pic – as I think I mentioned to you a while back we renovated our terrace a little over 2 years ago now and it’s still a work-in-progress when it comes to decorating but this has definitely helped things along...". I excitedly forwarded it to Mr Tonic. His response? "Very nice. They have gone to the Loulou school of decorating...". I'll take that as a compliment! 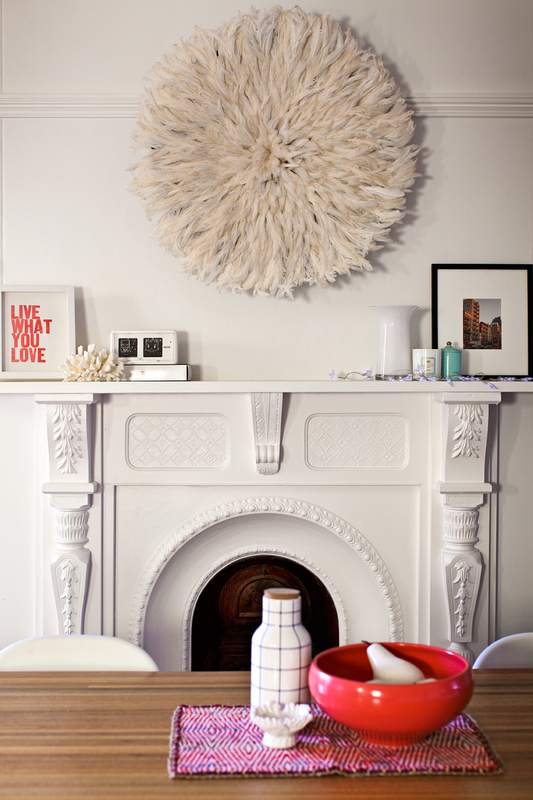 Click to buy a Table Tonic large off white Juju Hat (a beautiful, fluffy new shipment has just touched down!). All orders are dispatched within 24 hours of payment! in my diary every day. I'd like to start a blog so I can share my personal experience and feelings online. Please let me know if you have any kind of ideas or tips for new aspiring bloggers. Appreciate it! new to this) I'm referring to "http://www.blogger.com/comment.g?blogID=1178957263222092897&postID=8559240249843135407". How do I go about acquiring one of these for the website I'm making?